If you’re searching for some beautiful Christmas tree decorations, then the following selection of amazing lights is surely going to delight. You can choose one of the many amazing Christmas presents for your friends or decorate your own home. There are lots of choices when it comes to picking a light installation, from light curtains to meteor showers to projectors. Each of these can create that special atmosphere that everyone longs for during the winter holidays, although you can also use these at any time of the year. The Curtain String Lights from Twinkle star is a versatile product that you can use as a Christmas decoration as well as to create a special atmosphere for evening parties or at weddings. You get a high-quality curtain that comes with 300 LEDs which emit a warm light. This unit is 9.8 feet long and 6.6 feet wide so it can cover quite a large area. You can install it both indoors and outdoors, thanks to the fact that it has a sturdy construction that’s also waterproof. The curtain works with any 110V standard outlets, and you also get a controller that comes with a variety of lighting modes and combinations. The OMGAI Waterproof Meteor Shower is a light installation that is bound to impress everyone, from your kids to your neighbors and friends. This product comes with 8 tubes, with each tube having 18 LED bulbs so you get a total of 144 beautiful lights to boost the atmosphere inside your home or on your front porch, patio or garden. The tubes create the impression of flowing lights so you get the Meteor Shower Effect which has the potential to bring a smile to everyone’s faces. Each tube has a low power output of 5W which makes it quite economical. The TOFU Decorative Fairy provides you with a string of lights that can be used both indoors and outdoors. You can decorate your living room to match your Christmas tree or beautify your garden and impress your guests with a warm and welcoming atmosphere. This installation is 10 feet long and it comes with 400 small globe-shaped LEDs that emit a soft light in both white and pink colors. This 6W unit will keep your electric bills low while the controller allows you to select one of the 8 lighting modes, from waves to low glow, sequential, twinkle, and flash. With the Womsky Christmas Projector Lights, you can brighten your home’s front yard with lots of playful colors. This light projector globe is able to create a true light spectacle that will beautify your home or landscape. This rotating sparkling light has three colors: red, blue, and green. You get a controller that allows you to select from 7 combinations which can help diversify the light show every night. You can choose the moving speed, starting from static to low and then increasing the speed to mid and fast. There’s also a flashing choice and a timer that you can set between 2 and 6 hours ON and 18 to 22 hours OFF. In case you’re looking for a multi-colored LED net, then you can’t go wrong with this Vickerman product. You get a net that measures 2 by 8 feet, covering an area of 16 square feet of pure light magic. The LEDs come in amber, blue, green, pink, red, purple, as well as clear so you definitely have some interesting color combinations. This item uses less energy than many other installations, as its output is only 6 watts. The installation comes with a total of 150 light bulbs which can be wrapped around Christmas trees or other ornaments and landscaping features. There is no better method of transforming your house into a land of fairytale during the Christmas season than by placing a few lights indoors and outdoors. From the end of the 19th century, Christmas lights have been a tradition followed by many, and even if it wasn’t until the 1930s that people began to decorate their houses with strings of lights, they have been very popular ever since. 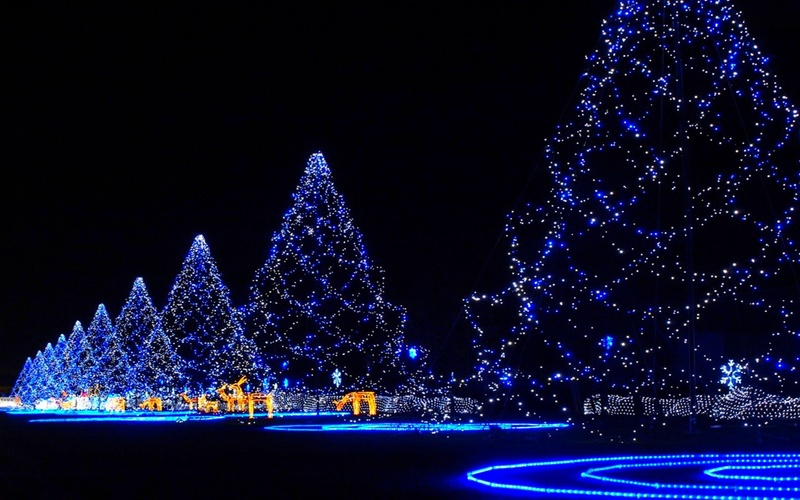 With dozens of types of lights for this specific occasion, it can be difficult for many people to choose the best Christmas lights for house use. The following guide is a compilation of our extensive research on this topic. We are aware that no two individuals are the same, and their preferences can be different, too, which is why we try to cover as many possibilities as possible in our recommendations. It is essential that you understand the most important differences between various styles and types of lights, so you can create that fantastic, beautiful setup that will impress everyone that will visit your home during the holidays. You will be better acquainted with what is available for sale on the market, and you will be able to make an educated choice. Everyone goes shopping as the holiday season draws near, but this does not mean that you should feel tempted to join the crowd and just purchase whatever that seems convenient and cheap. We also know that budget is an important consideration, but this doesn’t mean that you should sacrifice what you want to achieve, just for the sake of a discount. The next recommendations will help you in your quest to find cool Christmas lights. Working with this type of lights when you are decorating your home can have its fair share of dangers, and that is why you should always keep safety in mind. While you want your home to make an excellent impression on passersby and people who will come to visit, you don’t want to put your home and even more at risk. This is the reason why many experts recommend using LEDs for Christmas lights because they are safe and they offer plenty of other advantages. They are energy efficient, which means that your electricity bill will not become over inflated over the holidays. Their long lifespan recommends them, as well, and you will be able to reuse the same lights next year if you fall in love with them. Unlike incandescent bulbs, LEDs use 75% less power, and they live 25 times longer. Do not forget that we are talking about safety here. LEDs are known to produce very little heat, which means that a risk of fire is significantly reduced, something that cannot be said about incandescent bulbs. The best Christmas tree lights reviews insist on going for a safer bet and choose LEDs over more traditional lighting options. When you are shopping for Christmas lights, do not forget that you should purchase two different types, one for hanging outside and another for decorating the interior. The lights you should buy for outdoors should be weather-resistant so that you do not end up with the lights going off when you least expect it. Another thing to remember is that outdoor lights can be too hot for the indoors. However, if you decide to purchase LEDs instead of incandescent bulbs, you will have no trouble with using them both indoors and outdoors. You can create a beautiful, holiday inspired layout, just with the help of lights and as long as you manage to choose the right ones for both your home and your yard, there’ll be nothing left to worry about. When it comes to Christmas lights, preferences may vary quite greatly from one person to another. Some like a symphony of colors, while others consider that white is the only color, they need for this occasion. If you are on the fence with what color or colors to choose when you pick your Christmas lights, here are a few guidelines to keep in mind. In case you are after a timeless looking setup, you should go for white lights. They are festive, and they can be used with almost anything, without any worry that they would look tacky or out of place. You can even create intricate designs with their help. An important aspect to remember is that not all white colors are the same. Some are designed to give off a bit of a yellowish glow, which is very much in synch with the holiday theme. 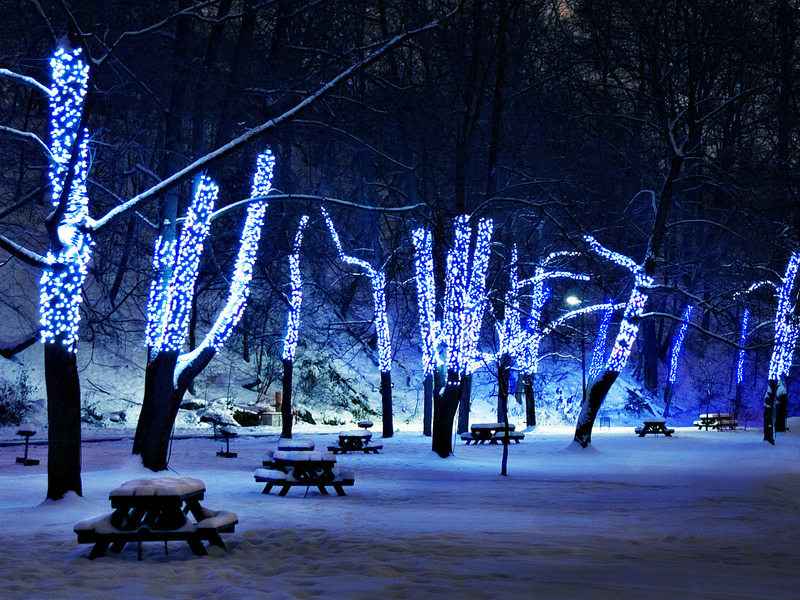 A bluer shade will make the lights look like they are reflecting the color of snow, another holiday-inspired idea. You can make choosing Christmas lights a delight for the entire family. Have kids choose what colors they want to decorate a small area. For more dramatic effects, you can opt to block areas with a single color. Your imagination is the limit. There are a few styles to give some thought to when you are shopping for the most amazing Christmas lights. If you want to go for the tried and tested, a good idea would be to opt for mini string lights. Their small bulbs will make your overall setup look like thousands of fireflies. Wide angle LED lights are preferred nowadays because they give off more light and they are easy to blend with the rest of the environment. Choose battery-operated lights, if there is no power source nearby, like in the case of decorating trees. If you are searching for something that is eye-catching, you should opt for lights that change their colors. Especially kids are in love with such setups, and you can make their holidays simply become more exciting if you choose this type of lights. A net of lights is an excellent idea when you want to drape areas such as shrubs. They create a stunning visual effect. If what you want to obtain is a whimsical effect, hang a few icicle lights, and your house will look like straight out of a fairytale.